Strawberry Fields Forever! Rare single story 3 bedroom 2 bath. A timeless beauty, with quality construction and design. Featuring a generous, open floor plan, tall ceilings, plenty of natural light and a very pleasing lay out, with a step down living room and family room, which ads a beautiful dimension to this flow. This home comes with a huge, open living room with a newly tiled fireplace and a full on view of the small and beautiful yard. Living room, family room, and master bedroom arefacing the back yard, all with sliding doors. A perfect setup for entertainment or to watch the kids at play. Further more this stunning and comfortable home features: A finished 3 car garage; a formal dining room and a designated dining area by the kitchen, both with a view of the outdoors; tasteful new custom paint through out; a water softener; a luxury, oversized bath tub; dual sink in master; walk in closet; a 2 way fire place; new upgraded flooring and new, tasteful window treatments. 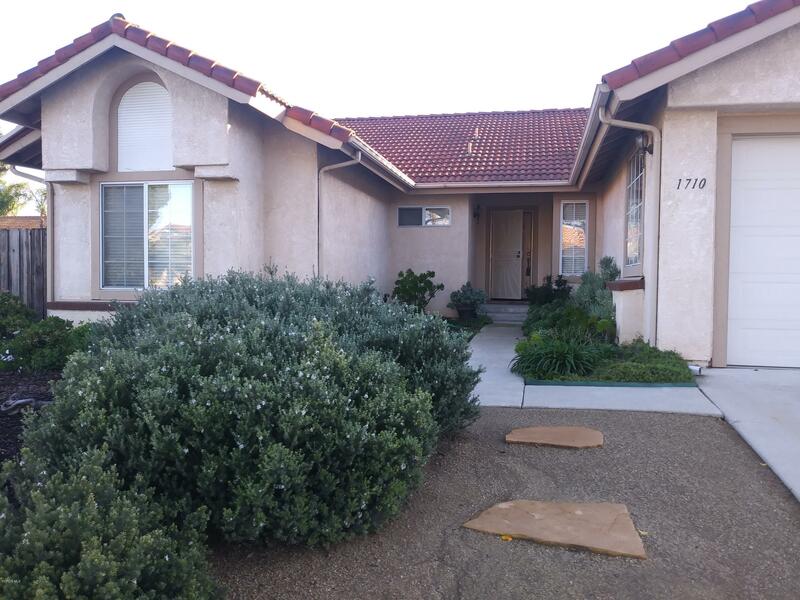 In addition you will notice extensive improvements around the exterior of the home, including new walls and drought resistant landscaping with decomposed granite.This amazing home has been well cared for and is in absolut mint condition. Ready for you to move in!